At Edward and Alan we also specialise in safety flooring designed for areas such as wet rooms, and heavy contract situations. We are able to cove and cap the flooring up the wall about 4 inches which creates easy maintenance when mopping and cleaning areas. It is ideal for disabled shower rooms as there will be no need for shower tray's or baths as the floor is water tight and enables easy access in and out of the bath/shower room. 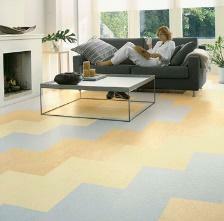 We have also installed this type of flooring in various other areas such as schools, dentists and commercial kitchens.